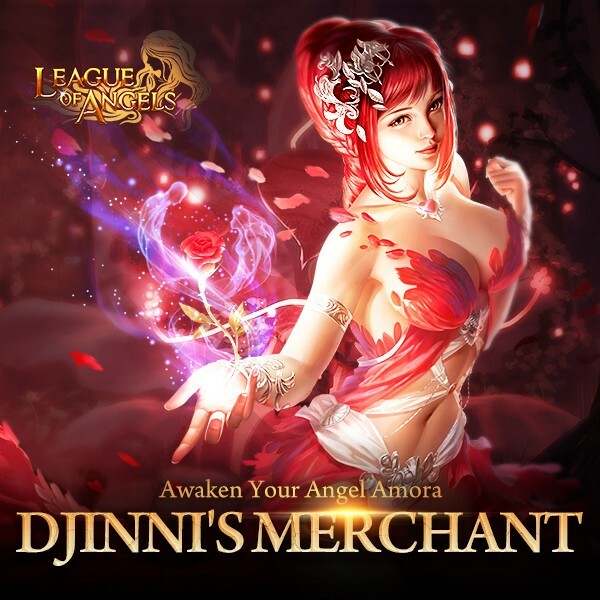 LoA_Awaken Your Angel Amora In Djinni's Merchant! 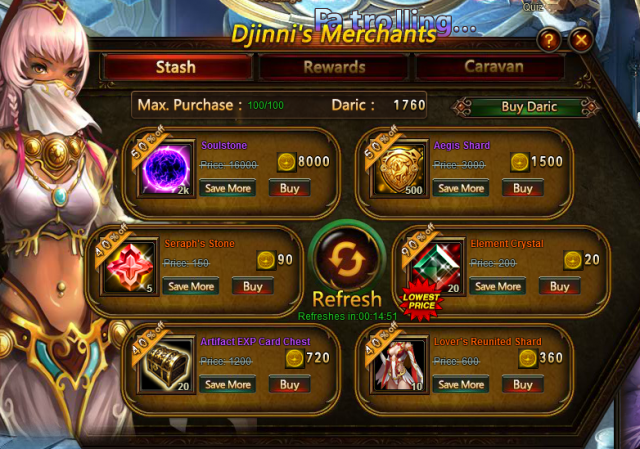 - Click the “Refresh” button for a chance to buy different discounted items. 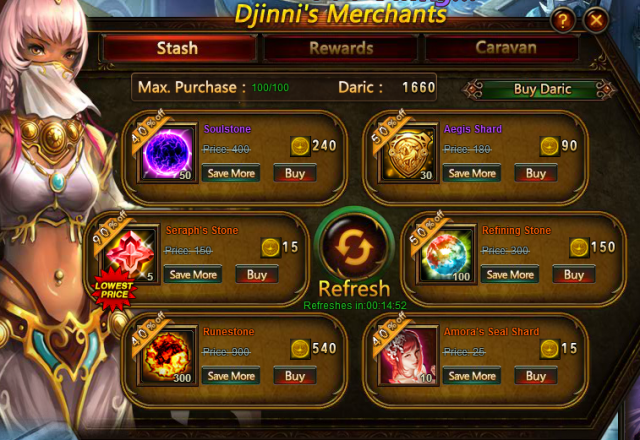 The commodities include Amora Awakening Stone, Lover's Reunited shard, Moonfall, Jeweltone Turkey shard, Floe Hunter Shard, Celestial Hunter Shard, Moonbeam Wings shard, Energy Vitamin, Legendary Exp Totem Chest,Rare Exp Totem Chest, Purgatory Soul, Grotto Heart, Enchanted Ore, Element Scroll, Blessed Stone, Soulstone, Seraph's Stone, Gem Enhancement Stone, Element Crystal, Aegis Shard, Refining Stone, Runestone, Lvl. 3 Cherubstone, Lvl. 3 Holy Crystal, Lvl. 4 Cherubstone, Lvl. 4 Holy Crystal, Lvl. 5 Superior Gem Chest, Lvl. 5 Common Gem Chest, Angel Tears, Gold, and many more.